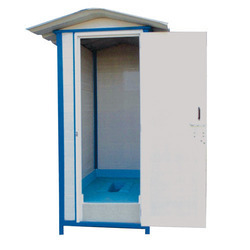 Leading Manufacturer of pvc readymade fabricated toilet from Coimbatore. We are reckoned as a one of the distinguished manufacturer, distributor and supplier of PVC Readymade Fabricated Toilet. The given toilet is suitable in different climatic conditions like extreme heat, severe snowfall & heavy rain. This toilet is available in different sizes as per the needs of the clients. Easy to install and uninstall, these toilets can be installed during public gathering and in various commercial segments. Looking for PVC Readymade Fabricated Toilet ?